Thanks for signing up to the Body Ecology newsletter! To complete the process, please look out for an email from us within the next few minutes that will ask you to confirm your email address. Once you click the link in that email, you'll be signed up. In the meantime, please enjoy these free gifts below! 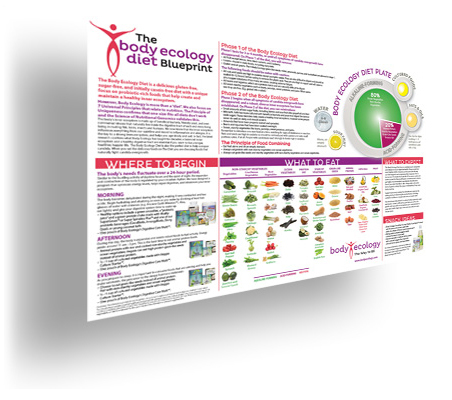 BE Blueprint - An easy roadmap of the BE Diet, including where to begin and what to eat. As a first-time subscriber, please use the coupon we emailed you at checkout to receive 15% off your order! One use per customer. Discount excludes consultations, discounted packages, and 3rd party products (list below), and cannot be combined with other discounts or used in conjunction with already discounted packages. To make sure you receive all of our emails, please "whitelist" our email address using these instructions.